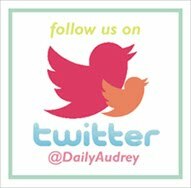 The Daily Audrey: Have a Life! I recently met with a new client who was well past Senior Citizen minimum age, had a humongous house needing renovation, several staff who were mostly invisible, and a life well lived. She was a pleasant lady who was also very outspoken and direct. While we were discussing the project over merienda together with my colleagues, we got to know our client more through her stories, which revealed her personality, humor and frustrations. And while she got to know more about our personal lives, I told her that I was a mother of two children - 2 and 4 and with no yaya. To which she looked bewildered and said, “Please have a life!”. I laughed and felt no need to explain myself at that moment. I found it rather funny more than offensive. If I’m being honest, this was really the life I chose. I chose to be a hands-on parent – doing everything for my kids one hundred percent of the time – through the fun and the dirty work. If you’ve been following this blog you already know that I take care of both girls, give them baths, clean after dirty diapers and poop, cook their meals, read them books, take Audrey to school... I could go on. I think this remark was brought about by a different set of values. She prefers convenience, I prefer experience. I also do not have the luxury to hire a staff of almost 10 - and even if I did I would still choose to be my childrens’ primary caregiver (crazy but true! I would hire mostly cleaning staff plus a personal chef haha!). It is easier to consider hiring an extra set of hands to take care of your children if you prefer a comfortable and stress-free life. But if you are willing to take on the challenge, then by all means go for it. I also think that this lady had regrets of being a full time mother because her children didn’t turn out the way that she wanted them to (please take note that 'full time' is different from 'hands-on' in this context, at least for this lady). They made a lot of wrong decisions as adults. This was evident in her story and in her tone. I, on the other hand believe that I will regret it more if I don’t pour out my time and efforts on my children, despite what their decisions in life may be. If they turn out to become wise women, which is really my goal, then well and good. However, if they choose a path less desired, I will still be there for them and will continue to try my best to lead them to the right way again. If we have a good relationship from the very beginning of their lives, I know it will be easier to connect with them as grown ups. 1. I want to make the most out of the time that we have - different ages and stages pass by so quickly and I don't want to miss out on anything. 2. I know I can give them the best care that they can get. There's no one more capable and fit to care for children than their own parents. 3. I want to invest in their lives and teach them discipline, obedience, respect, responsibility, diligence, gratefulness, and love - even at a very young age. This is the best time to start and I cannot do this consistently if I am not the one looking after them 24/7. 4. I want them to get to know God in a personal way and use our time together to teach them how to pray and know the goodness of God. I intend to sow seeds of faith now while they are young because the heart of a child is fertile ground. 5. I am learning from my children. My patience, perseverance, discipline and character has never been tested as much as it has before I became a mother of two. I know I am becoming a better person just because I have chosen to be a 100% hands-on mother. Oh and by the way, my client called me the day after and apologized for this particular comment. She said she was in no place to make such a remark as we are living in different dimensions and at her age she is less careful of filtering her words. It was nice of her to do this, but since I was also confident of my own choices as a mother, it did not bother me as much as it should have.